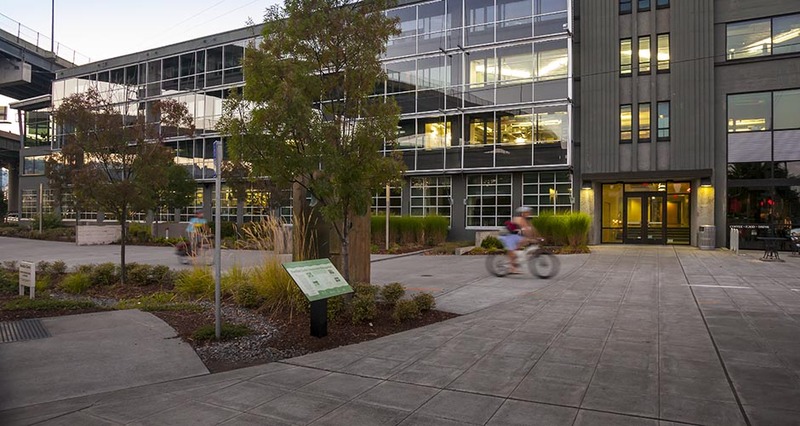 Designers of the LEED Gold-certified RiverEast Center project worked with the City of Portland to create a model stormwater system that treats not only roof water runoff, but also water from the parking lot, public plaza, and adjoining city streets. 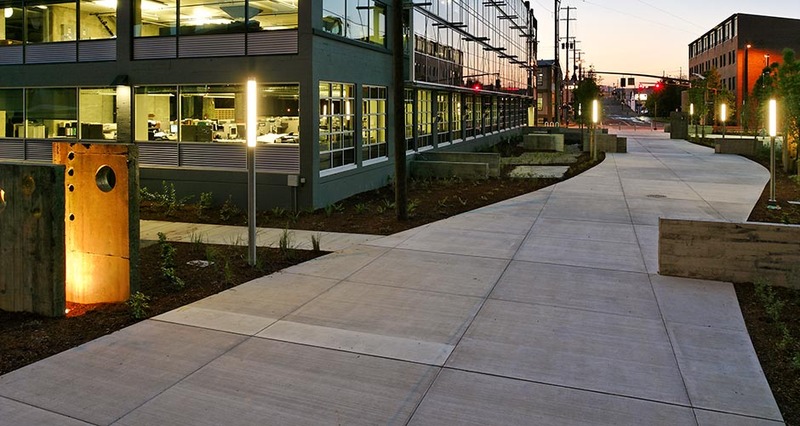 As Portland’s first shared green street, Clay Street Pedestrian Plaza treats public stormwater runoff in a privately maintained facility and provides a pedestrian and bicycle connection from the Central Eastside to the Eastbank Esplanade. The facility combines the City of Portland standard flow-through planter and infiltration basin details, creating a storm system that cleanses stormwater and allows it to meter flow into the Willamette River. 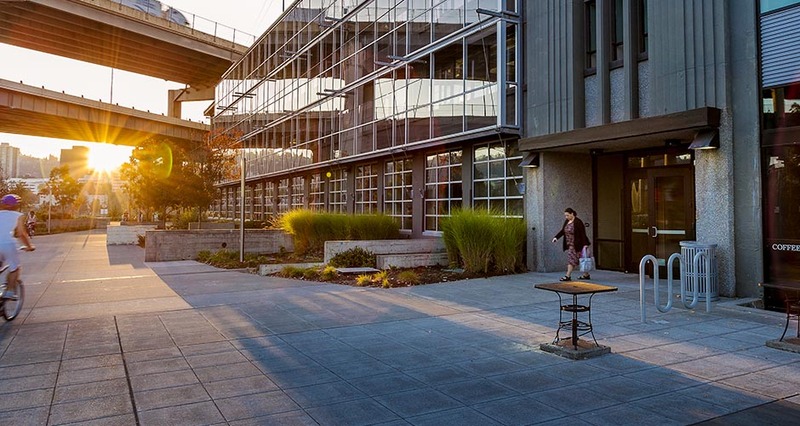 Collection basins, made of recycled concrete building slabs and lined with native plantings, receive stormwater from the roof and direct it toward flow-through planters along the building and in the parking area. Parking lot landscape areas also provide water quality through the flow-through planter method, where native plantings and soil section capture and clean runoff from the public streets and the private parking lot. The design team collaborated with Portland’s Bureau of Environmental Services to create and install interpretive signage illustrating and explaining the stormwater system. The project received The Julian Prize for sustainability and innovation in 2007 from the Oregon Chapter of the American Public Works Association.